Major Case Bureau detectives are investigating a robbery that occurred on Tuesday, March 10, 2015 at 8:24 pm in Valley Stream. 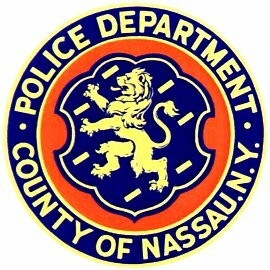 Valley Stream, NY - March 11th, 2015 - Major Case Bureau detectives are investigating a robbery that occurred on Tuesday, March 10, 2015 at 8:24 pm in Valley Stream. According to detectives, a male black subject entered North Central Liquor, 339 North Central Avenue, displayed a large kitchen knife and demanded the male clerk to open the stores register. After the clerk complied, the subject removed the cash drawer which contained an undisclosed amount of money and fled the store. The subject, who was described as being 6’ tall with a medium build, was wearing a black hooded sweatshirt and a black mask covering his face. He was last seen on foot heading eastbound on Hendrickson Avenue. No injuries were reported. Subject: LongIsland.com - Your Name sent you Article details of "Valley Stream Liquor Store Robbed at Knifepoint"